At an event at Steve Jobs Theater, Cupertino-based tech giant Apple announced iPhone XS and the iPhone XS Max. However, in addition to announcing these two iPhones, Apple also announced a third iPhone – dubbed Apple iPhone XR. The iPhone XR looks very much like the iPhone XS and iPhone XS Max – thanks to the notched display. 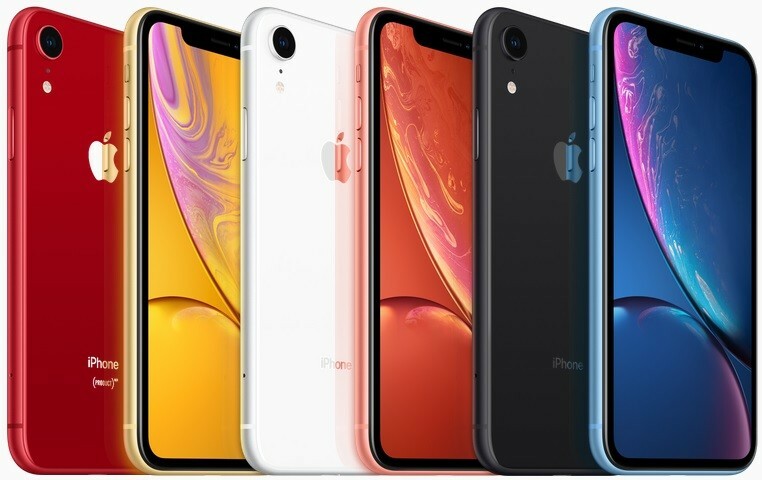 In fact, the iPhone XR has many things in common with the iPhone XS and iPhone XS Max, but, it does differ from these iPhones on many fronts. The iPhone XR is powered by the same A12 Bionic chip which powers the iPhone XS and XS Max. The smartphone also features a notched display, however, unlike the XS and XS Max that come with Super Retina OLED display, the XR comes with Liquid Retina LCD display that measures 6.1-inch diagonally and has a resolution of 1792 x 828 pixels with a pixel density of 326 ppi. In terms of build, the front and back of the iPhone XR is covered with glass whereas the frame is made out of 7000 Series aerospace-grade aluminium. And yes, as the iPhone XR features a glass back, it supports wireless charging. The iPhone XS and XS Max come with IP68 dust and water resistance which is the highest level of IP certification on a smartphone, whereas, the iPhone XR comes with IP67 certification. But that doesn’t mean the XR cannot take a dunk in a water. It can survive in water a maximum depth of 1 meter for up to 30 minutes. Its brethren, the iPhone XS and XS Max can survive in water for the same amount of time, but a depth of up to 2 meters. The iPhone XS and iPhone XS Max comes with dual cameras at the back, but the iPhone XR comes with a single rear camera. It features a 12 MP camera at the back that has f/1.8 aperture. This 12 MP camera comes with a wide-angle lens and also supports Optical Image Stabilization. Furthermore, it also supports Portrait Mode with “advanced bokeh”, and, with this year’s iPhones, Apple has finally thrown in Depth Control that allows users to adjust the background blur in real-time as well as after taking a picture. At the front, you get a 7 MP TrueDepth Camera for selfies and video calls that has f/2.2 aperture. In fact, this is exactly the same camera that’s found on the iPhone XS and iPhone XS Max. Like the rear camera, the front camera also supports Portrait Mode and Depth Control. And of course, not to forget Animoji and Memoji that come along. The iPhone XR, like the iPhone XS and XS Max, doesn’t come with a fingerprint scanner, but, it does comes with Face ID that made its debut last year with the iPhone X. Apple says that Face ID is now faster than before and it can be used to not only unlock the phone, but can also be used to authenticate purchases in Apple Pay as well as secure the apps. The Apple iPhone XR runs iOS 12 that was announced back in June this year. You can read more about iOS 12 features here. That said, after 10 years from launching the first iPhone, Apple has finally brought dual SIM support to all three of this year’s iPhones. However, before you jump off the couch with joy, let us tell you that this dual SIM functionality is not offered by offering two separate slots for SIM cards. You will still be able to insert only one SIM in your iPhone, with support for second SIM offered through eSIM technology. However, customers in China will be able to insert two physical SIMs in their iPhones as Chinese variants will have dual SIM slots. The Apple iPhone XR comes in three storage variants – 64 GB, 128 GB and 256 GB. It is also offered in a total of six colors – Yellow, White, Coral, Black, Blue and (PRODUCT)RED. As always, Apple didn’t reveal the battery size, but the Cupertino-based tech giant did say that the battery on iPhone XR last up to 1.5 hours longer than the battery on last year’s iPhone 8 Plus. 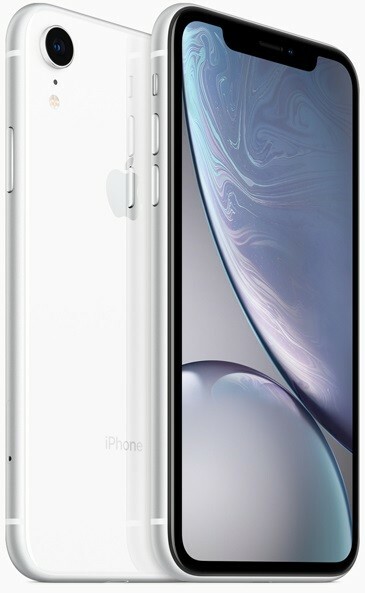 “The new iPhone XR has a gorgeous new aerospace-grade aluminum and glass enclosure that has IP67 protection from liquids and dust, long all-day battery life and comes in six beautiful finishes. 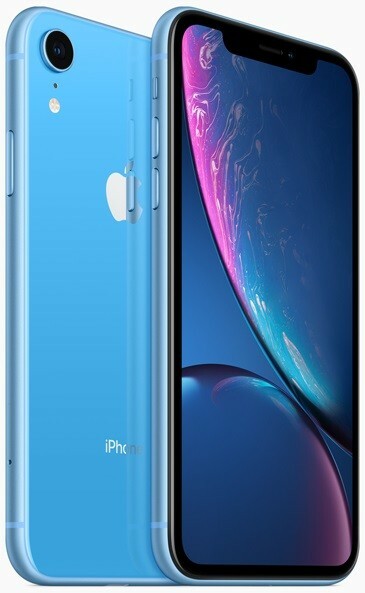 iPhone XR makes it possible for even more people to have the great experience of the latest iPhone X technology, in beautiful new designs, at a more affordable price.” Schiller further added.